This week, Greg and Tim Zyla are behind the wheel of the all-new 2015 Hyundai Genesis, this time delivered with All-Wheel-Drive (AWD) underpinnings and powered by a 3.8-liter six cylinder engine. Genesis continues its consumer branding as the “second-in-line” model after a successful introduction back in 2009. To this day, Hyundai is committed to its philosophical marketing ideals, which now include luxury models of the highest caliber. 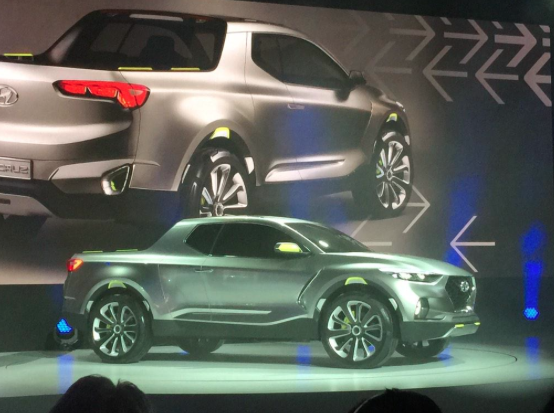 Years ago, when you heard the word Hyundai, it was usually in a sentence filled with negativity adjectives. 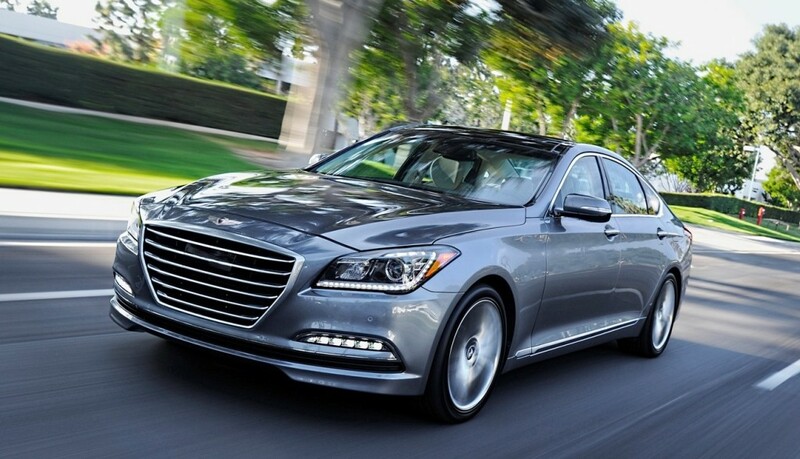 The new 2015 Genesis is a well-built vehicle that comes loaded with luxury appointments throughout. Built in Korea, Genesis comes in three flavors of four-door, five-passenger trim with pricing starting at $38,000 for the rear drive, 3.8 V6. Cost moves up to $51,500 for the 5.0 V8, while the third model available is our tester, the AWD V6 that starts at $40,500. The Hyundai 3.8-liter V6 delivers a stout 311 horsepower and 293 lb. ft. of torque. It’s connected to a Shiftronic eight-speed automatic transmission with paddle shifters for more gear control if desired. The V6 EPA highway fuel mileage with the AWD mechanicals is 25 highway, a decent number. However, in town, if you’ll get 16 or so with AWD. If you choose the rear drive V6 mileage increases to 18 city and 29 highway, a big move up for those who don’t need or desire AWD. As mentioned in our review of the V8 Genesis, the new generation closes the gap with its luxury sibling Equus to better compete with the numerous luxury lines that Japan, Germany and the U.S. have been selling for years. Genesis rides on a near three-inch longer wheelbase than last year resulting in a smooth ride thanks high performance gas shocks, a sport/comfort tuned suspension and 18-inch premium all season tires on nice alloy wheels. There’s also more legroom for rear passengers. As for return on investment (ROI), Hyundai still has to deal with past poor performance when it comes to used car values, but the company is improving for the better each year thanks to better built, quality vehicles. Our tester came with a $4,000 optional Signature package, which adds power sunroof, ventilated front seats with memory, power tilt and telescopic wheel, HID headlights, blind spot detection, rear cross traffic alert, parking guidelines, power rear sunshade and manual rear side sunshades. Although expensive, it’s a nice package that incorporates safety and amenities. An Ultimate Package costs $3,500 and features Premium Navigation on a 9.2-inch HD display, head up display, power trunk lid that opens when you stand behind it with the keys in your pocket, dual mode vent control and Lexicon 17-speaker discreet logic audio system. The final option is a $3,500 Tech Package, with ultra leather seating, enhanced power driver seat with cushion extender, lane keep assist and departure warning, smart cruise with start/stop capability, automatic emergency braking, front and rear park assist and a few more ancillary items. I highly recommend this option as it is safety at its best. 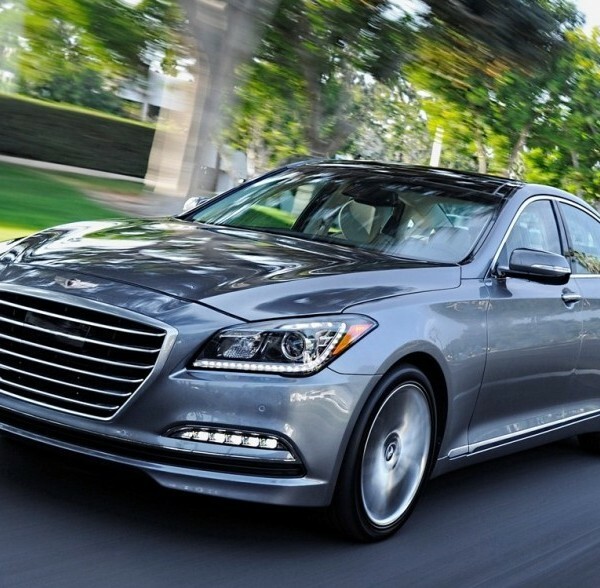 Hyundai Genesis sedans come with all modern safety equipment and then some. Hyundai’s “Blue Link 2.0” connectivity features automatic crash notification, an SOS button, on-demand roadside assistance, and much more. Our tester also included blind-spot detection, rear cross-traffic lane-departure and lane-keeping assist adaptive cruise, front and rear parking sensors and an automatic emergency brake system that can lessens impact or even prevent a low speed fender bender. Your Hyundai dealer will gladly explain all options and standard features when you visit. Important numbers include a wheelbase of 118.5 inches, 4,295 curb weight, 15.3 cu. ft. of cargo space 20.3 gallon fuel tank, and the legendary 10-year/100,000 mile power train warranty. If you’re looking for a luxury vehicle that does everything right on the highway, Genesis is certainly worth a look if you’re shopping the market. And remember that dealer incentives lower the price substantially. Over years of test driving and reviewing hundreds of different vehicles, it can be hard for the experiences to not blend together. It can be quite a task to review a full size luxury sedan priced at $50,000 and compare it to the endless amounts of similar vehicles that have been tested. With that said, I am confident in saying that if Genesis carried a Mercedes-Benz badge, this vehicle would sell for quite a bit more and very few would notice. I will admit that’s a rather obvious conclusion, as everyone in the car industry knew the Hyundai name plate would hurt the company’s entry into the luxury market, which began in 2009 with this same model. Nevertheless, I stand by the comment and would feel comfortable recommending Genesis to any driver in the market for a luxury sedan who is more concerned about driving experience than the brand name. It’s not to say there are no flaws, however. The responsiveness of Genesis’ 3.8 V6 is infuriatingly dismal. 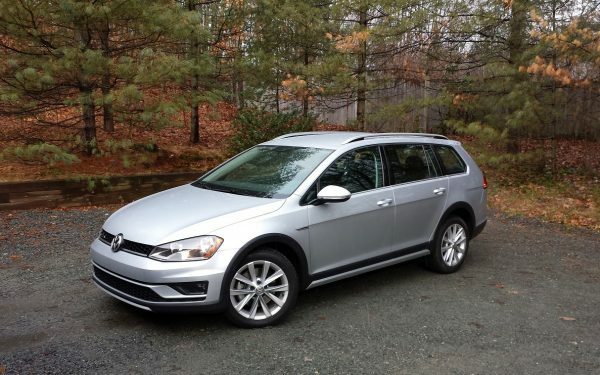 The eight speed transmission screams of mediocrity, with average gear shift times and a slightly slushy feeling. And although having eight gears to transfer power through, the 311-horsepower produced from Genesis’ powerplant does not result in impressive acceleration. Getting away from drivetrain performance, Genesis does excel in the areas that hold a little more weight in the luxury market. Ride quality is more than adequate, with state of the art suspension components that truly eat up the bumps in roads. Options are aplenty for the vehicle’s as tested price of $52,540 which includes amenities for comfort, safety and entertainment. I rarely ever talk about the looks of vehicles we test (with the exception of extremely out of the box designs) because it’s naturally a subjective topic. I will say with Genesis, I think its looks top the majority of cars in its class. If an observer can take the Hyundai badge out of the equation and factor only aesthetics, Genesis looks the part better than any. To summarize, if you’re in the market for a luxury sedan and really like the looks of Genesis, test drive one at your local dealer. It’s not a bad car. REVIEW: 2017 VW Golf Alltrack S – The Subaru Outback’s New Peer, Or Something Else?